Islamorada’s roadway network consists of the major thruway, U.S. Highway 1, and connector and local streets that provide access to abutting land uses and channel traffic towards U.S. Highway 1. In 1999, the Village obtained jurisdiction and responsibility from Monroe County for all of its connector and local streets. Currently, there are 169 named streets in Islamorada totaling 39.31 miles of paved roadways and rights-of-way. The two (2) primary bicycle facilities in Islamorada are the Overseas Heritage Trail along portion of U.S. Highway 1 and the State Road 4A (“Old Highway”). The Village also contains an extensive network of bicycle facilities shared by pedestrians and other users. This includes approximately 10.8 miles of pedestrian/bicycle network, with additional miles of striped bicycle lanes more recently constructed on Upper Matecumbe Key and along Gardenia Street and Royal Poinciana Boulevard (34 total miles of paved bicycle lanes). 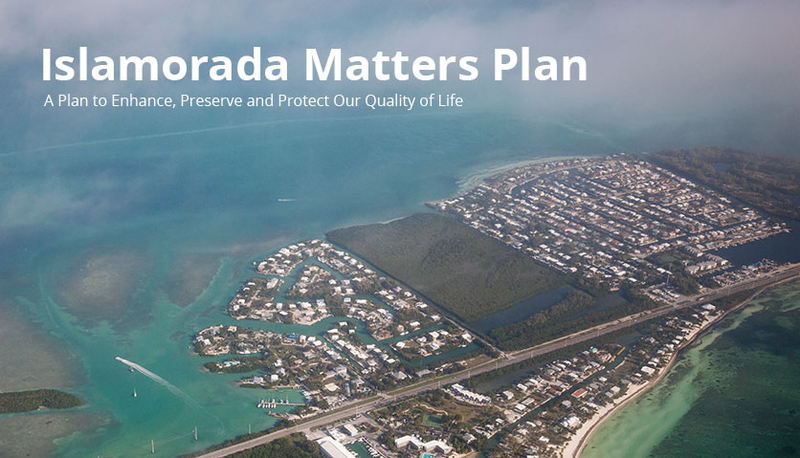 Currently, there are 5,038 houses and 2,102 businesses in Islamorada. The current building allocation is limited to a total annual unit cap of twenty-two (22) market rate units and six (6) affordable housing units. This allocation is intended to limit growth and ensure that adequate public facilities and services are provided to residents. Wastewater treatment in Islamorada was historically privately owned. Small facilities discharged wastewater into septic tanks, while larger facilities treated wastewater onsite using wastewater treatment package plants. 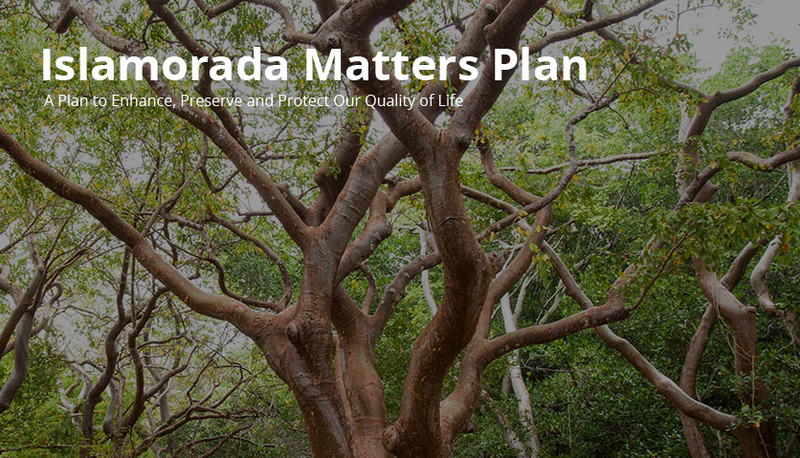 Currently, there are over fifty (50) package plants permitted within Islamorada. The Village is currently working to extend sanitary sewer service to eliminate septic systems and package plants within the Village. As currently projected, the Wastewater Pump Station at 142 Sunshine Boulevard shows a very high near term vulnerability to sea level rise due to its elevation. From a water supply perspective, The Florida Keys Aqueduct Authority (“FKAA”) manages the water source and distribution system serving the Village. Potable water resources are located at FKAA’s wellfields in Florida City on the mainland and water is treated after it is withdrawn from the Biscayne Aquifer but before distribution in the Keys. While saltwater intrusion to that source of water supply is of concern sea level rise is just one of numerous impacts that must be monitored. Other impacts include naturally occurring groundwater flows which depend on currently planned restoration projects, withdrawals from other wellfields which are proximate to FKAA’s wellfields potential impacts. Stormwater is not managed through a centralized system in the Village, but there are stormwater management requirements for all new impervious surfaces. Stormwater management is also integrally tied to water quality because the waters surrounding the Keys are designated as Outstanding Florida Waters (OFWs). To date, water quality enhancement and addressing localized flooding have been the primary drivers of stormwater planning and retrofits. The Village has already begun important steps related to infrastructure preparedness including 1) infrastructure vulnerability analysis and 2) beginning to address drainage “hot spots”.An enhanced effort should be made to continue identifying neighborhood, business owner and staff complaints and observations related to storm events and documenting inundation during extreme high tides in the spring and fall (King Tides). Additionally, the Village may want to enhance stormwater regulations planning for higher design storm events where appropriate. If sea level rise rates tend toward the higher scenario, there may be compelling need to elevate the transportation lanes between Fire Station #19 and U.S. Highway 1 before 2030 to ensure safe emergency vehicle access after extreme storm events. Additionally, U.S. Highway 1 is built to a low grade between White Marlin Boulevard and Palm Drive. As sea levels rise, this low grade may result in increased nuisance flooding of U.S. Highway 1, potentially slowing or restricting the movement of emergency vehicles based at the Fire Station #19 site. The Village has a system of sixty-two (62) residential canals, ten (10) of which are considered poor quality. The Village is currently in the process of implementing canal restoration projects, in tandem with Monroe County, to improve water quality. To date, the Village has committed $100,000 for canal restoration of its most impaired residential canals. Restoration efforts will improve the overall health of the canal system, as well as surrounding nearshore water quality. This is important as environmental stressors will become compounded with the effects of compromised drainage and increased direct runoff. In terms of the built or developed areas of the Village, and from a land use perspective, development in extremely low-elevation land areas where tidal flooding is common and storm surge is severe will become inherently more risky as future sea level rise poses more of a threat. Although building codes are enforced and flood insurance is required, these waterfront properties will see more risk. Many private and public buildings and other infrastructure, such as roads, may become impractical to maintain as the environment changes. There are many public health and safety implications that must be addressed, such as abandonment of certain infrastructure or negotiated levels of service. Issues could include loss of access to a property, reduced quality of access or loss of property value due to removal of an inter-related public or private asset.